"Praise for The Secret Prayer -"
explanation of how Ho'oponopono is a form of uber-powerful prayer." "An absolute delight to read— The Secret Prayer is mind expanding, heart opening, and overflowing with love." “Joe Vitale has done it again! What an awesome compilation of the best and most powerful prayers from different disciplines! I love how Joe shares the most effective processes and how to get the most out of the wonderful discipline of prayer. I constantly pray — I pray in the most curious ways at times — and my life is filled with love, miracles, prosperity and contribution to others… Thank YOU, Joe, for your wisdom, commitment and your love of people! 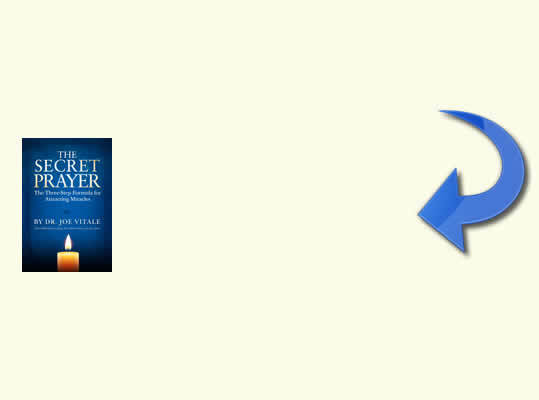 "Meanwhile, listen to The Secret Prayer right now by clicking on the audio link below." 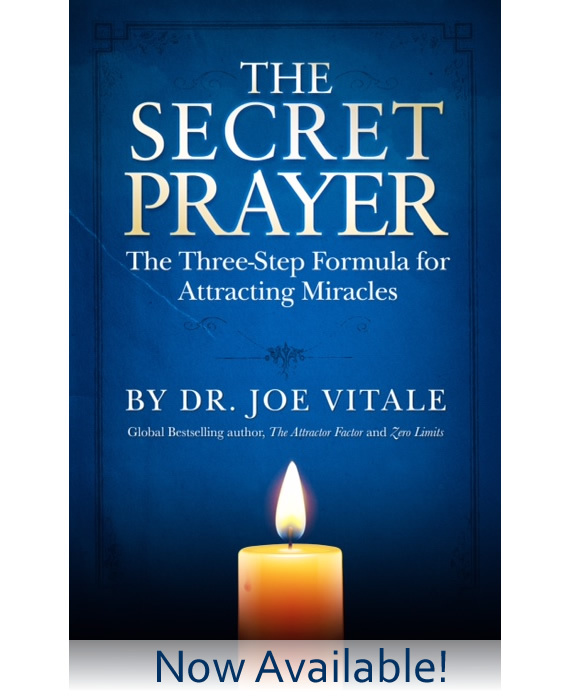 "Let Dr. Joe Vitale guide you through the three steps of The Secret Prayer. Then let us know what occurred for you on the form below. Expect Miracles!" Please let me know your experience with The Secret Prayer. never share or sale your email address. Sign up here to get early notification when the book is ready! We respect your privacy. We will never share or sale your email address. "Read what people are saying below"
I always love your work and you always surprise me with something new. I am so delighted to hear from you all the time! This is the way to change the world little by little. I have been practicing meditating and Reiki yoga since 2008. I experience deep theta meditation but your audio - makes me going deeper and change my thoughts. I listened to it for about 1 ½ hours. I am not sure when I got to "sleep" and I started seeing my lovely people, connections with them, their emotions and treatment. Seems like I was asleep for days and watched a movie about my life - it lasted quite a long time. I had a very bad headache, and upon waking, my head was calm, soothed and without any pain. Message: I have been very troubled and worried lately; this prayer gave me a sense of peace and hope, thank you. Message: My experience: It feels so real now! I am in a state of gratitude! I am now in the process of attracting my dream! Wow! I expect miracles! I feel so good! I am a miracle! Message: Thanks so much for sending me the secret prayer, Joe. Yesterday I took some time just for me and went back to cathartic breathing. I hadn't done that for several years. As I was listening to the prayer, I could feel my hands, body and legs vibrating in tune with the process. I can already see the grand piano down in the living room. Thank you, I love you. Message: I wanted to take time to thank you for something so special. It is done with such precision and grace. I will do this always and I cannot thank you enough. Message: Great! Now I am really going to get results! I believe the results are here! Thanks, I bless you. Message: This is a wonderful guided imagery audio. Your voice truly captures my attention and makes me present. Thank you for this gift. I Love you. Message: It was a beautiful experience! It felt like my desire has expanded all through my body. I could feel a very intense rush of energy...it just felt right, having a feeling of ease and grace. I love The Secret Prayer! I really enjoyed it and I certainly will be coming back to this every evening to visualize all of my desires…that they are already in the here and now. Thank you. Message: I felt a connection for once to a mighty and higher power that I don't think I have felt before. Certainly in the way that my whole mind and body and soul was present and ready for the greatness of my desires. I felt a lightness also of expectancy and assurance that what I want really is there for me. Thanks so much Joe. Message: I am thankful for receiving the beginning of "The Team of Ten" from my experience with The Secret Prayer. Message: This prayer is reassuring, promising and full of realization of my wishes! Message: I listen to this audio at night before I fall asleep. I had a dream that I was praying in a Buddhist temple. In the morning I felt that I can hear and see deeper than before. Thank you so much! Message: I love it! Your voice, the rhythm, the content, the energy…it is sacral and is really a wonderful prayer to still the treadmill of the day for a few minutes! Thank you, thank you, thank you! It is really a magnificent prayer. I'm very curious to read the book! Message: I had a real Aha moment! For the first time, I felt in my brain, exactly where my desire is when it has already happened and not only that but also, the location in my brain where my desire is in the future. Message: I love it! I want to start every day with this prayer. It keeps me mindful of the life that I am creating for myself - the life of my dreams and the life I deserve and was born to live. It reminds me that, in doing so, I am not alone. The Secret Prayer supports me and reinforces strongly that, no matter what, I am not alone. I feel total Gratitude for The Secret Prayer. Message: This prayer is a very powerful process. Thank you for sharing it. Message: I really enjoyed that visualization and planting the seeds that have reaped an identical harvest. The feeling of relief was upon me and I knew that the thing was done. I needed to do nothing else, but have faith in my divinity, for my Father has come. I and my Father were one. I am what I imagined myself to be. This, or better for the good of all concerned. Not my will but thine be done. So might it be. I am imagining who I want to be with and it feels like it's real. I dreamed last night about my dream life and what I would like to have and this morning I am listening to your beautiful prayer. I am so grateful to you because you keep me uplifted. Message: It's yum yum! Great, yet simple! Message: I love this! Thank you, Joe for this sweet prayer and reminding me about "Nevillizing." At first I had an experience where I thought of something fun... an ELEPHANT! OMG, I thought, Oh Lord… I live in Detroit in the city...HOW on Earth could I take care of an Elephant!? ha ha So I accepted that if "Stampy" does come along, I will care for him until the zoo comes and gets him. And I rewound The Secret Prayer and saw my fixer house (that I just bought in August 2014) completely fixed up, I felt happy and content and a great deal of relief. The colors on the walls I had not yet imagined were there, the peaceful feeling of all the work over already so I can enjoy my life and I was surprised to see my part-time boyfriend there as a full-time love and all of us living together as a happy family in my sweet Victorian house. Blessings to you Joe, thank you! Message: This gives renewed inspiration in my life by praying for the things I desire and what I am working towards. I will be using this every morning. Message: What a wonderful and refreshing experience! Thank You, Thank You, Thank You Joe! My name is Ksenia, I am Russian. I am very grateful to you for all the materials that you offer. Message: Thank you so much. Bless you! I am so very thankful for this! I am currently trying to recover my health. After a minor operation I had, I have been scared and nervous, though most people say that I am fine. I am currently trying to overcome this fear. It may sound silly but for me, it is a problem. I have one wish and that is to live a long, healthy and happy life together with me and my mother and my three adorable pets. I have so much more I want to do in my life as I'm still young. I pray that I'll live long to accomplish my goals. Again, thank you so very much for this message. It gave me hope. Message: I love this prayer! Thank you Joe, I believe! I really admire you. I love it when you are able to give back and help others. To me it's got to be the greatest feeling in the world! Thank you so very much. Message: Thank you for this! I had a wonderful feeling just listening to you. It felt like a positive energy in my body. I was thinking of my wish and imagining it. A lot of emotions came up and my eyes filled with tears. This is a wonderful prayer. The three components of gratitude, feeling (as if) and action; I will always remember this. Thank you and blessings to you. You are doing wonderful divine work. I was at lunch for work today and because of some unexpected bills, my primary bank account was -$200.00. What’s more, I wanted to spend my last $20 on a haircut, but the barber shop was closed. I received an email about The Secret Prayer, and pulled into the nearest parking lot, put on my headphones and followed Joe's recording exactly as instructed. I drove off as soon as I was done listening. Within the next hour, my barber decided to open up shop, gave me a discounted haircut, and I received two phone calls. One from my mother saying she had $250 dollars for me and another from my job saying they cut me a $250 per diem check for a trip that I am not scheduled to go on for another month, but because of a computer 'error' the check was printed early...I picked up $500 in unexpected dollars today! I don't know how much Joe is going to charge for The Secret Prayer book when it comes out, but anything less than $499.99 is a steal! I loved it! I am looking forward to meeting my lovely new man from my prayer. It is very exciting! Thank you. This is great! It isn’t too long and it really moved me from a place of negativity to a place of happiness and gratitude. I look forward to going through my day, anticipating and recognizing opportunities to realize my dream. Message: I enjoyed this. It helped me relax a bit after a 12-hour shift at work. In time I will see if my wish comes true. Thank you Joe. Message: This prayer is very empowering. Thank you kindly for all your efforts for mankind! I love you, I am sorry, Please forgive me, Thank you! Message: Thank you for sharing Joe. As always, your guidance and teachings bring peace and calm to my active mind, allowing me to feel a heartfelt gratitude in the now. Nevillizing my desired reality becomes clearer each and every time I'm in that peaceful and grateful state. Thank you. Message: It opened my heart, and put me in a space of possibilities. It offered hope where I didn't see any. It is a very powerful sequence. Thank you. Message: While listening to The Secret Prayer, I felt tingling in my legs, arms and in the palms of both of my hands. I had a clear impression of the new kitchen I would love to have. This is the first time I have been able to visualize my new kitchen up close and I could feel the excitement of having it --- SOON! THANK YOU! THANK YOU! THANK YOU! I am 73 and have been waiting a long time for this. Message: This is so good, I was listening to The Secret Prayer while writing a post on my blog called "MAGIC AND MIRACLES: THE SYNCHRONITIES THAT TRIGGER FULFILLMENT IN LIFE," I cant believe it; I got this at this same moment. 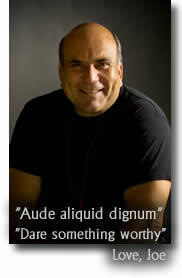 I love you Mr. Joe Vitale and you are a mentor. Keep up the good work!